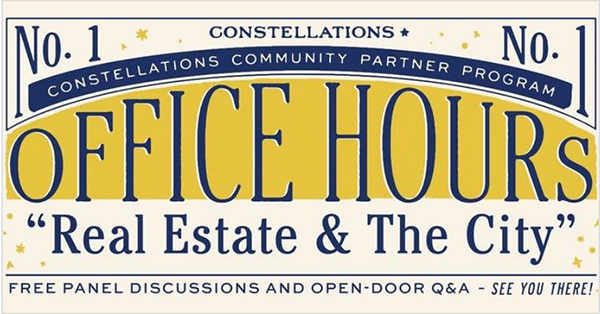 Join us August 10th for “Office Hours”, a quarterly series bringing business insights to the cultural community. 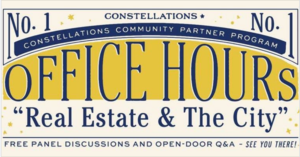 Our inaugural event, “Real Estate & The City”, features expert panelists and an open-door Q&A about how to navigate and succeed in developing culture and real estate in the built environment. FRIDAY AUGUST 10TH FROM 9:30AM – 11:00AM. AT CONSTELLATIONS.